Working at MJCCA Day Camps, you will make friends that last a lifetime while gaining leadership skills and experience to help build your resume. We offer a variety of positions from counselors and supervisors to coaches and activity leaders. An interview is required for all positions. Once we receive your application and two reference forms, you will receive an email or phone call from the camp office to arrange an interview. Be a mentor! 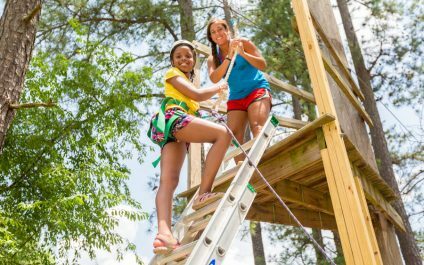 The unit head position is for experienced staff who directly supervises group counselors and campers. Unit Heads will work on problem solving with campers, speaking with parents, mentoring their assigned staff members, and more. *College or post-college age. Learn to be a unit head and teach the group counselors all at the same time! An assistant unit head is like a senior group counselor. Assistant unit heads will be a group counselor leading, but also helping guide the other counselors in any way that they can. Whenever the unit head is not at camp, the assistant unit head will assume their responsibilities. *College or post-college age. Make a difference in the life of a child! 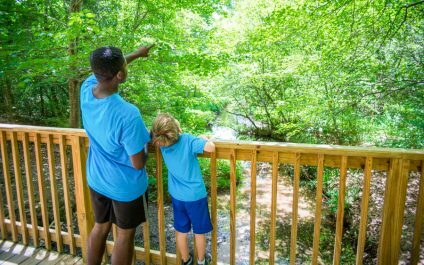 A traditional camp group counselor will be directly with the campers all day, leading the group in an array of different activities. Group Counselors are required to swim with the campers and participate in all camp activities. CIA Traditional camp is an all outdoors camp, be prepared to be in the summer sunshine! *Group Counselors must be rising 11th grade or older. Bring your passion and experience to the camp environment! An activity director leads one of our many thrilling activity areas: Archery, Arts & Crafts, Cooking, Dance, Drama/Theater, Gardening, Horseback, Song Leading, Nature, Ropes Course, and Sports. Specialists will have an adopted group and are expected to be with the kids at all times, even if there isn’t an activity going on in their area. *College or post-college age. Do you have talent? We offer a lot of fun Specialty camps that focus on sports, theme, travel, performing arts, and teen options, inspiring campers to explore their interests and try something new. A Program Lead will implement a pre-written curriculum and must have a creative mind and good organizational skills to run a successful program. Theme camps include art, cooking, Lego Robotics, creative camps (Superhero, Princess, Pirate, etc. ), teen camps, and more. *College or post-college age. Make a difference in the life of a child! A specialty camp group counselor will work directly with the campers all day, leading the group in an array of different activities. Group Counselors are required to swim with the campers and participate in all camp activities. Theme camps are indoors and outdoors, so you can experience the best of both worlds. *Group Counselors must be rising 11th grade or older. Counselors will work with a specific group of drama campers each day. They will work with their assigned group on memorizing lines for the big show, running scenes, and preparing acts for the talent show. Other positions include stage manager, choreographer, and more. *Must be rising 11th grade or older. Counselors will work with campers in many different areas and styles of dance. The counselors will lead group warm-ups in the morning as well as have a group that they will lead, teaching dance combinations and helping them have a great day. Counselors must have a dance background and be enthusiastic. Counselors must be comfortable choreographing and teaching short dance combinations to a group of campers. Other positions include assistant choreographer and more. *Must be rising 11th grade or older. Head Coaches will be responsible for and lead a group of 10-16 campers each week (from K-7th Grade). The Head Coach is responsible for creating lesson plans, delivering sports specific curriculum, covering daily character themes and underscoring a core character value, including sportsmanship, teamwork, and respect as well as managing and leading our Olympic Programming, stressing the valuable life lessons that sports can provide. Head Coaches will be required to work in a team environment with other coaches and staff whilst demonstrating the qualities of an exceptional role model to the campers in all that they do. *Applicants must be of college age or older. Assistant Coaches are the support team for the Camp Directors and Head Coaching Staff at camp. The role requires individuals with a strong sports background who are able to communicate with children and provide assistance within a camp group of 10-16 children (with a Head Coach). 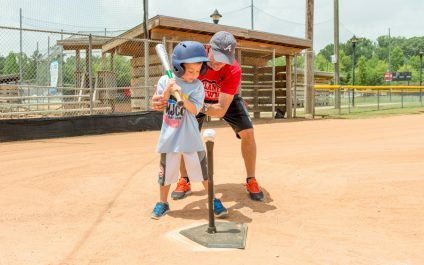 From ensuring camper transitions, safety and assisting with children who may require additional assistance within their group, an Assistant Coach must be flexible, be able to take direction and act on their own initiative throughout the course of each day. *Must be rising 11th grade or older. 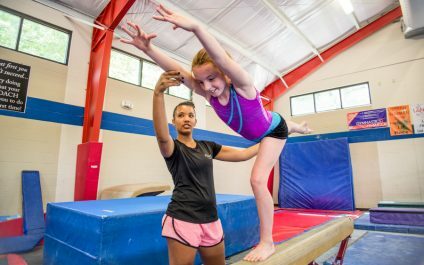 The Coach role requires individuals with a strong gymnastics background who are able to communicate with children, be proficient at spotting and have basic technical knowledge of skills. Counselors must be able to organize and structure a class for a group of 8-10 children, ensure camper transitions, safety and assisting with children who may require additional assistance within their group. Coaches must be flexible, be able to take direction and act on their own initiative throughout the course of each day. *Must be rising 11th grade or older. The role requires individuals with a strong Tennis background who are able to communicate with children and provide assistance within a camp group of 8 to 10 children (with a Head Coach). From ensuring camper transitions, safety and assisting with children who may require additional assistance within their group, a Tennis counselor must be flexible, be able to take direction and act on their own initiative throughout the course of each day. *Counselors must be rising 11th grade or older. We are looking for someone who has a background in the medical field (CNA, RN or other) who loves working with children. Positions like: office manager, office receptionist, office runner, transportation coordinator, and trolley driver. We need staff that are detail oriented, personable and have a great attitude. Our trolley driver will undergo training onsite. *Must be rising 11th grade or older. Capture the memories! This position goes all around camp to take pictures of each group on a daily basis. Photographers are required to provide their own camera and have experience in photography and working with children. *Must be rising 11th grade or older. MJCCA Day Camps is proud to offer an inclusion program for children with disabilities. A facilitator will enable children with disabilities to participate in mainstream camp programs. *Must be rising 11th grade or older. The SIT program is for rising 9th and 10th graders and a registration is required before filling out the staff application. SIT’s will be assigned to a camp group within Camp Isidore Alterman, and they will follow campers throughout the day with other camp counselors. The SIT program is available in three-week sessions and spots are limited. Please click here for more information.